The alternative approach that Israel has to adopt is a disproportionately respond that will make clear to the other side that she reject the equation of an eye-for-an-eye and a balance of deterrence. 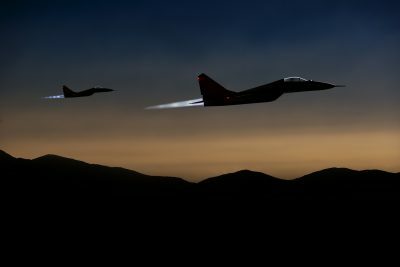 The downing of the Israeli F-16 fighter jet makes it impossible to ignore the fact that Iran is clearly striving to change the balance of power on the Syrian-Israeli border. After seven years of deep involvement in the country’s civil war, Iran can boast numerous achievements. It saved the Assad regime, which was headed toward collapse, and even helped it retake around two-thirds of Syrian territory. Along the way, Iran turned Assad from an ally into a puppet. It secured a “Shiite corridor” of contiguous territory, through which it has transferred weapons and forces from Tehran to the Mediterranean coast. And perhaps most importantly from Iran’s perspective, it established a permanent and significant presence of Iranian forces and proxy militias on Syrian soil. Now Tehran is focusing its energies on removing the one remaining obstacle on its path to regional hegemony – Israel. Iran’s goal is obvious and attainable. War with Israel is neither necessary nor worthwhile for the time being. However, a series of relatively limited moves can create a balance of deterrence to restrict Israel’s freedom of action in Syria and enable it, if need be, to also apply pressure against the Jewish state on the nuclear issue. This is how Hezbollah has managed – through measured confrontations – to tie Israel’s hands on a number of important matters. Even when the conflict spiraled out of Hezbollah’s control, during the Second Lebanon War, for instance, Israel was unable to obtain a suitable victory. As a result, the Shiite terrorist organization has remained in control of Lebanon and has stockpiled a massive arsenal of missiles pointed directly at the Jewish state. The Iranians launched a drone to penetrate Israeli airspace, and the Syrians shot down one of our warplanes. In other words, the fight has moved to Israeli territory. This is a first and glaring step toward altering Israel’s equation of deterrence against Syria and erases all the red lines Jerusalem has drawn in the proverbial sand. Our limited response to this Iranian-Syrian provocation – bombing several Syrian and Iranian military facilities – will ultimately come back to bite us. Israel has thus far avoided intervening in Syria’s civil war and Iran’s overt efforts to establish a foothold there. All of Israel’s actions in Syria have focused solely on eliminating missile warehouses and factories (earmarked for Hezbollah) and keeping Iranian forces away from the Golan Heights border. This approach, which some decision-makers have undoubtedly propagated as level-headed and proportionate, is proving to be a total failure because it was faulty to begin with. It is aimless to cling to an approach of defensive proportionality against an enemy clearly and doggedly acting to change the strategic equation. What is the alternative to the approach Israel has thus far adopted? It has to respond disproportionately to make it clear to the other side that we reject the equation of an eye-for-an-eye and a balance of deterrence. One possibility is to destroy the entire Syrian air force and its bases, which would undermine the viability of the Assad regime’s and Iran’s achievements in the civil war, and prevent similar aggression from the air against us for the foreseeable future. 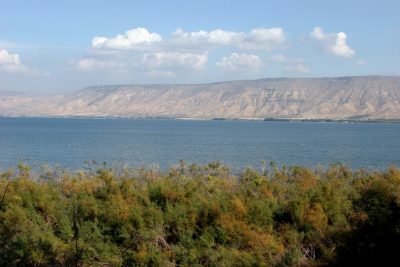 Another option is for the IDF to enter the demilitarized zone east of the Golan Heights, from where Israel withdrew after the Yom Kippur in 1973 on the basis of Damascus’ commitment to avoid taking any military action against us from Syrian territory; a commitment that has just been completely broken. 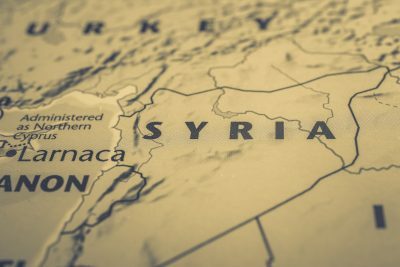 Israel certainly has a number of other options at its disposal; regardless, the principle needs to be singular: Israel will exact a real price for any attempt to deter it from acting in Syria in self-defense. published books and articles on political thought, regional strategy, and Jewish history and Zionism.